When there are so many great games just waiting to be played, what's the point of being a completionist? Most gamers like to be challenged, and there is a certain grim satisfaction to be had from beating a level that once seemed impossible. Any psychological scars from the experience can now be worn as badges of honor, particularly in the look-at-me age of Xbox 360 Achievements. The world can see what you've been through, and can choose to applaud or shudder in response. You completed Gears of War on "Insane" difficulty? High five! 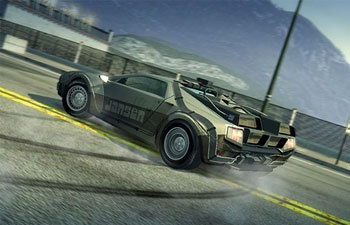 You unlocked the Burnout Paradise Tribal Special Hot Rod that looks as if it should grace an Aerosmith album cover? Way to go! However, before the era of Achievement-mongering and online console communities, you didn't necessarily have the allure of a public victory to look forward to. Back in "the day," there was only the solitary thrill of seeing 100 percent completion on your saved games. In "This Is the End," Graeme Virtue delves into the stark burdens of being a completionist. What about you? What makes you willing to sludge through a game that "needs more cowbell?"